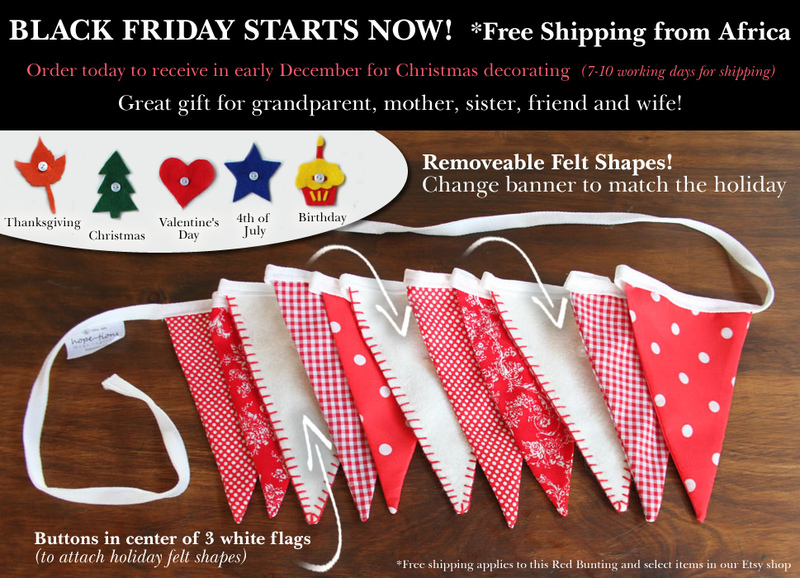 Click to see bunting designs with FREE SHIPPING! Baby onesies make the best Christmas gifts...See many designs! a day’s wage for 1 mother in Africa! - time left over to invest in their children. We offer a shorter work day…so the women can be home when school lets out to be with their children. Children need much care and attention here…as they are immersed in a gang, drug infested environment. You can bring hope now! and make a big difference in the life of an African mom!